This weekend at Los Angeles Comic Con, I wore my first cosplay costume that was made from more than stuff I pulled out of my closet. 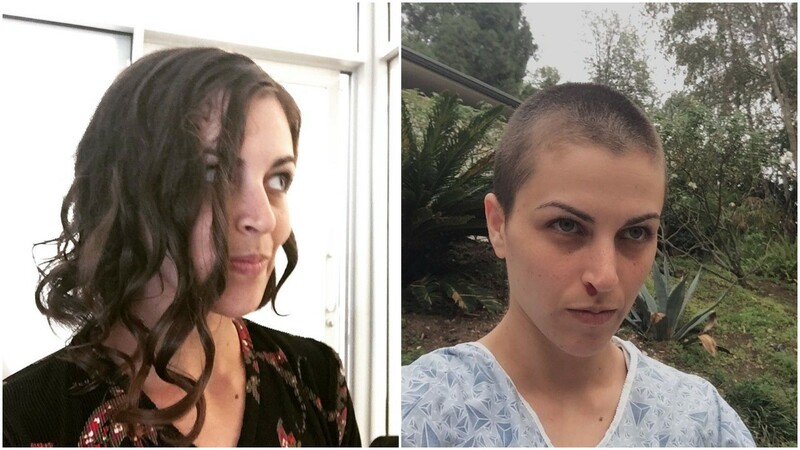 It wasn’t the most complicated costume, requiring only a hospital gown, some fake blood, and willingness to shave off all my hair. Say hello to Eleven from Stranger Things! I was so close. I almost made it through the con without this nonsense. First off, let’s be clear: cosplayers could not afford my wheelchair. It is more than $6,000 and a piece of medical equipment that many wheelchair users fight for, not a costume prop. Secondly, my chair is much nicer than most of the wheelchairs you see in media, many of which are clunky, heavy hospital chairs dragged out of a prop rental facility with little thought to fit, whereas mine is sleek and custom-tailored to my body so that it is suitable for long-term use. So in a sad way, it’s not all that authentic to use a proper chair! Nonetheless, the question illustrates a larger issue for many disabled cosplayers: with so little disability representation in media, whom should we cosplay? Sure, I’ve thrown on a pair of glasses and a Batman shirt and been Oracle on a day I wasn’t interested in serious costume work, and I have gotten suggestions to cosplay Professor X, Davos, Dr Strangelove, (suggestions trail off rapidly as characters in wheelchairs are few and far between without going into more obscure options), and many ideas that involve intricate wheelchair constructions. And many wheelchair construction cosplays are absolutely stonking brilliant: Ben Carpenter’s Mad Max “Blood Bag Mobile,” Mica Bethea’s Tyrion Lannister on the Iron Throne, and countless adorable children in TIE fighters. These cosplayers demonstrate endless creativity and dedication I can only dream of, and I can’t fathom how I could build such elaborate architecture on top of my wheelchair and still reach the handrims! But my wheelchair need not be a prominent feature, and I am increasingly interested in cosplay that doesn’t involve my wheelchair at all (beyond accounting for safety and keeping clothes out of my wheels!). In fact, none of my upcoming cosplay plans are for characters who use wheelchairs. I don’t want to feel limited to characters with similar disabilities to mine, especially when there are so few to choose from. Like any other cosplayer, I want to dress up as characters whom I look up to, whose personalities reflect traits I value in myself, or who just look cool as hell. 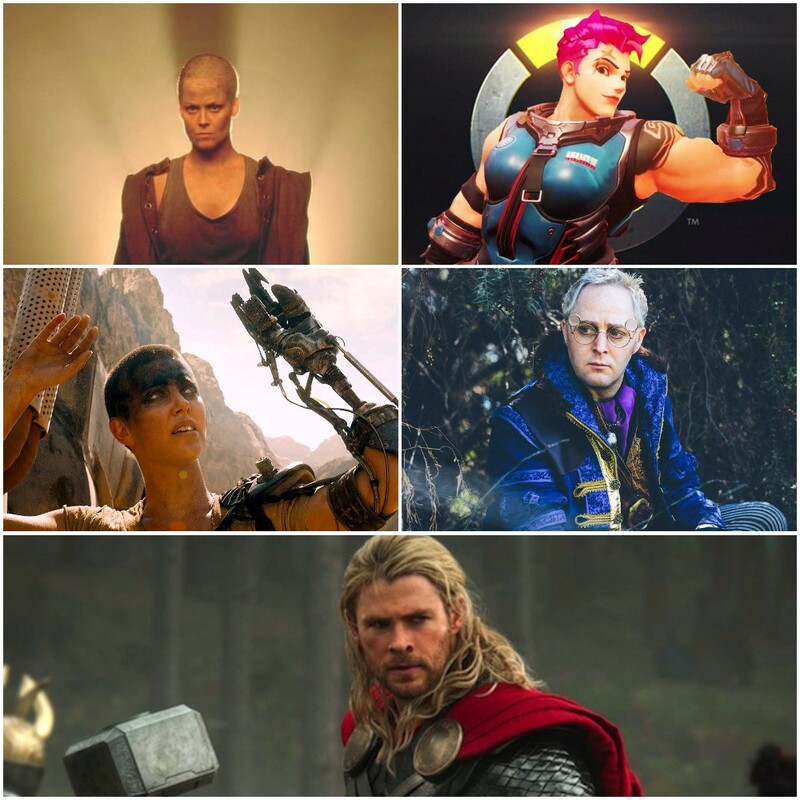 I want to play Ripley, Thor, Zarya, Furiosa, and Percival Fredrickstein von Mussel Klossowski de Rolo III. And if I do cosplay a wheelchair-using character, I want it to be for those same reasons, not because it’s one of the half-dozen canonical options available to me. I’ve got plans. So many plans. And just as we celebrate cosplayers who make their wheelchairs a part of their costume, we should equally recognize cosplayers whose wheelchairs are merely a frame for the art they’ve put together on their bodies. Our costumes can be just as impressive and detailed, and the quality of cosplay is not less just because the cosplayer is disabled and the character is not. 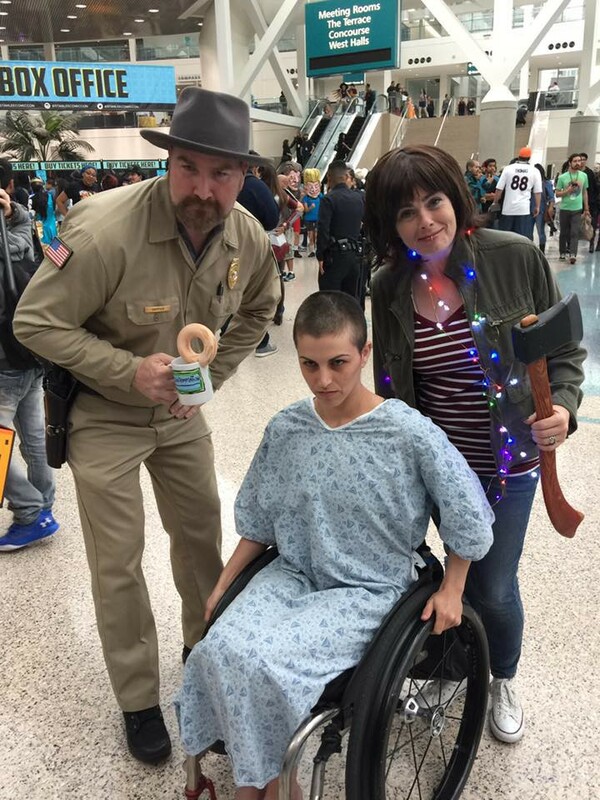 So no, Millie Bobby Brown’s Eleven isn’t in a wheelchair. But mine is, and she’ll eat your Eggos all the same.